I found another "depated" stone. This one is in Harvard, MA. I must say, the phonetic misspelling of "departed" is among my favorite New England graveyard Easter eggs. Finding a new one always makes my day. Also, Moses Worster wasn't too clear on ordinal numbers. 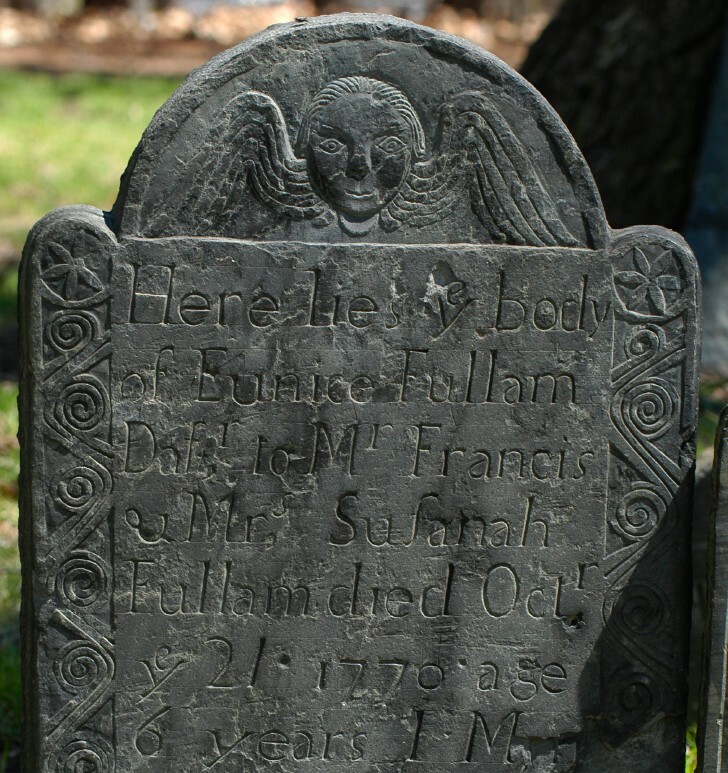 According to this stone, Manassah Fairbank died on "October 3th 1767." Moses and his father Jonathan were prolific carvers of this period in this general area. (The best slate quarry in the region was the Pin Hill Quarry in Harvard.) Jonathan is the author of the magnificent geometric heads, as seen on the cover of Ludwig's "Graven Images."